Today we leave Port Frejus and head to Carcassone. It will be another long drive. While cruising through a travel guide I realize that we are ‘almost driving by’ the Pont du Gard. This is definitely worth a detour. The Pont is a 2,000 year old Roman aquaduct that spans the Gard River. 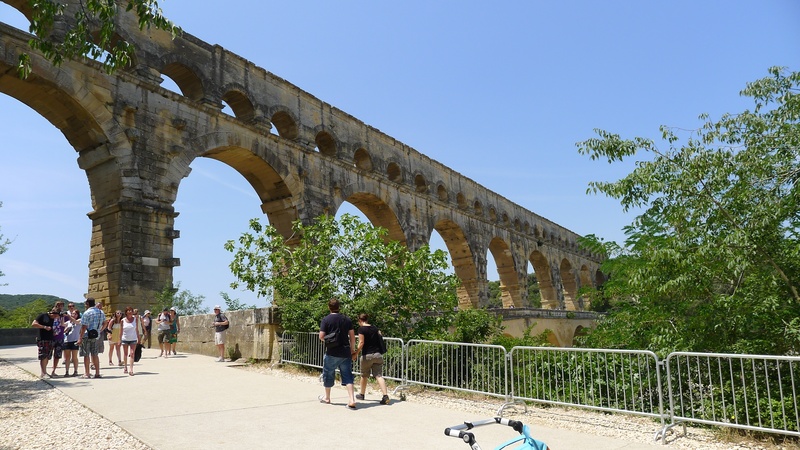 It is part of a 50km long aquaduct that runs between Uzes and Nimes in the south of France. It stands 160 feet high and is a series of three rows of arches. Incredibly, I was so awed by it that I didn’t realize I was missing the lower third of the bridge when I was photographing it. In the picture below, you can see a hint of the lower arches. A concert was taking place later that night, so while we were there, we listened to Miss Kittin and Raphael Saadiq rehearse. The Pont is a UNESCO World Heritage Site and it was really incredible. We would have loved to have stayed much longer. 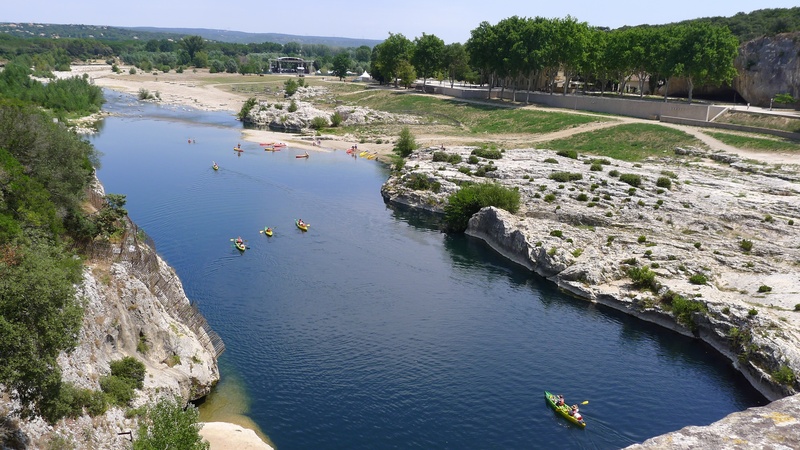 You can swim in the river Gard, canoe, picnic – it was just really beautiful. In the photo below you can see the band stand. But now we must go – Carcassone awaits!